Take A64 from the A1 (first junction after M1 join A1 north of Leeds). 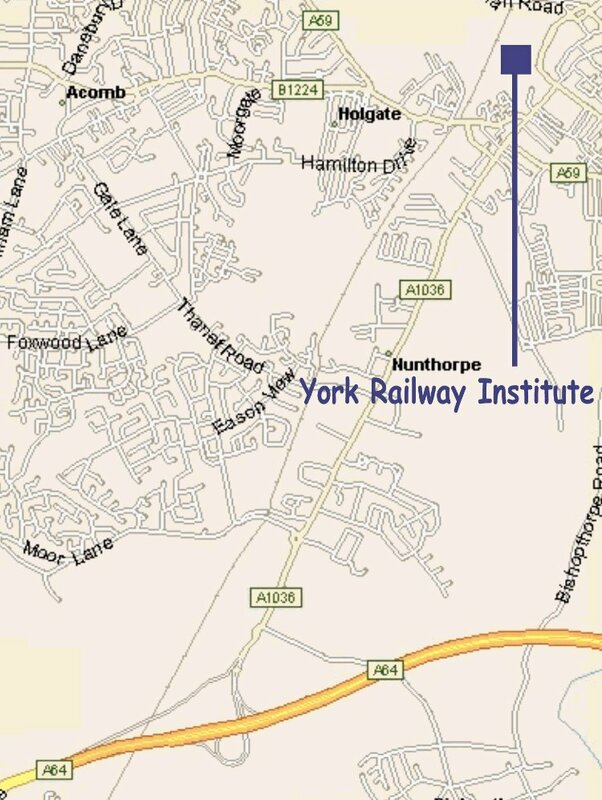 Remain on the A64 until A1036 York West off. At the end of the slip road turn left and left again at traffic lights. Pass large Tesco on left and take third exit at the roundabout (City Centre). Pass York Racecource on the right. Keep straight on until traffic lights at Micklegate Bar (old city wall gate) turn left. Take left down a slip road. Follow the road left round a corner the badminton courts in the building on the right. Car parking is available by following road. Parking is free in York RI car park. There is also an NCP car park available.